Weekly photo challenge is ‘Masterpiece’ – the prompt shows part of Gaudi’s Sagrada Familia, in Barcelona, and I agree that it is an absolutely amazing building. So many mind-blowingly different ideas all in one place – one of the most impressive buildings I’ve ever visited, and Barcelona doesn’t just have one of his buildings, they’re everywhere. Definitely a place worth travelling to. The masterpieces I’ve seen today though are much smaller. Wildlife of course. I spotted a blue-tailed damselfly this morning by the new pond, but it didn’t stay for a photo. The garden was full of butterflies and bees again too. The most popular flowers are lavender, valerian, marjoram, hollyhocks, hebes and sea lavender. Butterflies up close are just stunning. 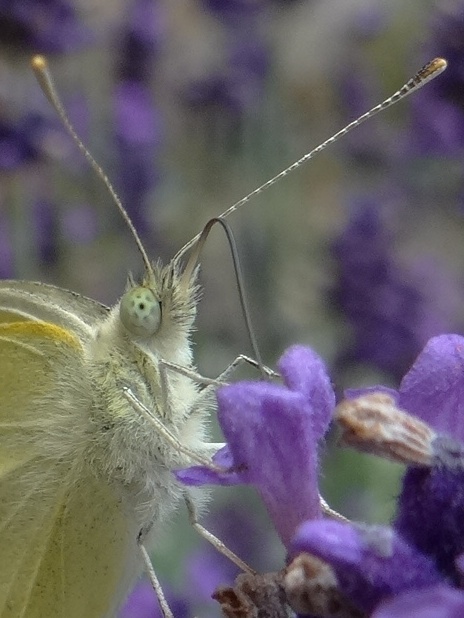 Small White feeding on lavender – look at those eyes – and what an amazing tongue! 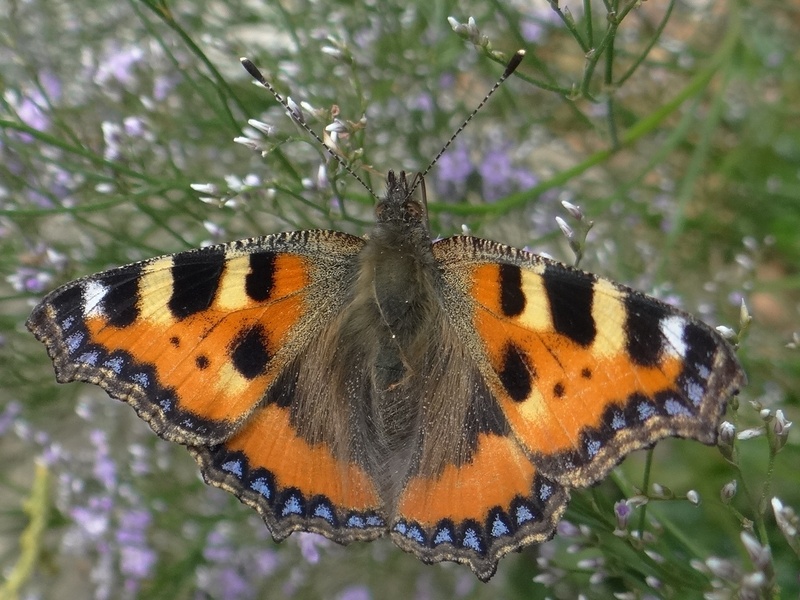 Categories: biodiversity, garden | Tags: biodiversity, butterfly, damselfly, garden, lavender, sea lavender | Permalink.